“Evritiki Zygia” first appeared in the early 2007. 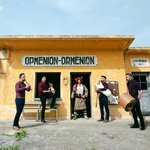 Five friends sharing the same experiences and passion for the traditional Thracian music, joined their forces and created this powerful traditional music band. 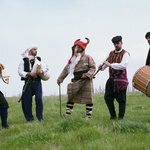 It consists of primitive musical instruments deeply rooted in the tradition and mind of the Thracian locals - the bagpipe, the lyra, the kaval, the davul. Ιnstruments intertwined for thousands of years with Thrace, forming an integral part in the life cycle of the Thracians - joy, sadness, marriage, death, work, migration. 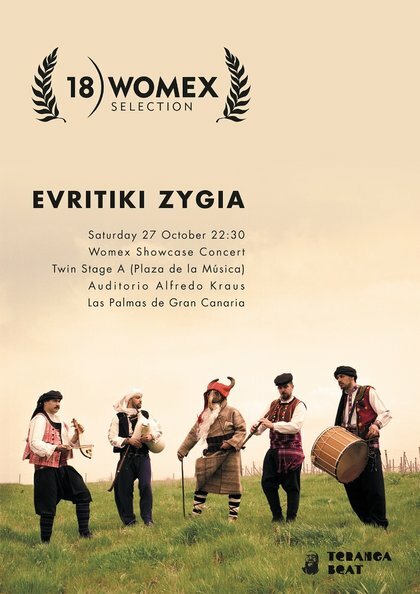 It is called “Evritiki”, because the group is located in Evros, the northern and eastern part of Greece, which belongs to the geographical territory of Thrace - a place rich in historical and musical traditions. It is considered to be the homeland of Orpheus who, according to a Greek myth, was the most important representative of the singing arts and the Thracian lyra. 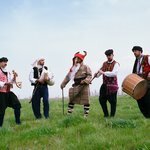 It is called “Zygia”, which means a pair and usually in Greece suggests a traditional band or group of musicians performing together. 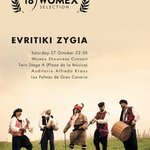 The continuous research, recording and playing songs that have long been buried in the closet of time, the continuous participation in Thracian customs and the strong presence in the cultural events both inside and outside Greece are the main elements that compose the gravity of identity of Evritiki Zygia. 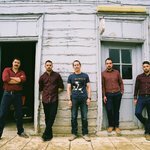 Adherence to the original way of expressing the music of Thrace marries the need for synthesis, constant creation and uplifting orchestrations. 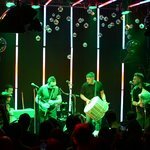 The improvisations and combination of traditional instruments with modern instruments as the accordion or analog electronic keyboard (Farfisa), creates a Fusion sound with a unique identity, emphasising the Psychedelic elements of Thracian music.